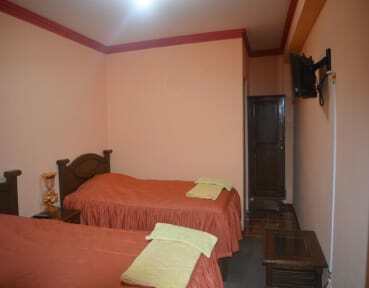 Salcay Hotel is a friendly hotel located in the centre of Uyuni. Perfect location to discover the city of Uyuni. For your comfort the hotel offers: free Wi-Fi access throughout the property, free breakfast served daily from 7.30 am to 9.30 am, electric heaters. Guests can enjoy views over the city. Ideal to meet people of different cultures. 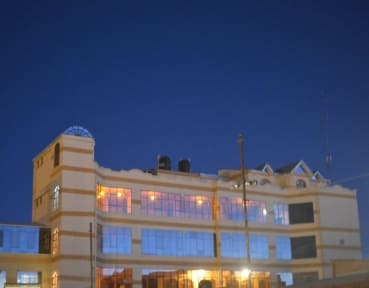 Salcay Hotel is located in the centre of the town. The hotel is surrounded by many restaurants, markets, supermarkets and main tourist attractions. The hotel offers a wide range of private accommodation, for 2 people and families. All rooms have private bathroom and Wi-Fi access. Check-in time starts at 12pm. Breakfast is served from 7.30 am to 9.30 am. Lovely hotel. Really nice staff who helped us leave early for our bus. Comfy beds and hot showers. Great value for money definitely would recommend. Plenty of hot water and descent beds. The staff is very helpful and they provided a heater for the room. Breakfast isn’t bad and they make eggs too! It was cheaper to get a private room here than it was to get two hostel beds. The location is GREAT! Chicken places right across the road for dinner and bus stop two blocks down! The breakfast was good, and the showers were perfect, really hot, even needed to add some cold water. Only downside was that there wasn't always someone present at the reception. Overall it's a great deal, as you get a private room for EUR11, with decent wifi, decent facilities and a decent breakfast. However, the day I was there (but I think it happened to other persons), there was extremely loud live music all night long (until 6-7 am) which pretty much prevented me from sleeping. You definitely need earbuds. Before I arrived I had sent 3 emails and asked for pick-up from train station as I would arrive 9:20pm and I wanted to arrive safely at the hostel. Nobody picked me up and at check in I got no answe why. Nobody speaks English. The hostel is central, bus station, market is close. Room had window only to the corridor. TV was only Spanish. No safety box, no fridge available, there was a heater in the room. Breakfast buffet was nice, different bread, eggs and cheese. I wouldn’t call this place an Hotel - it’s more an Hostel without Dorms. Not the most lovely place in Uyuni and the breakfast is average in the city. The prices are not that bad but compare to other place you can find cheaper ones at the same value. Worst staffs! When I first got in, my booking wasn’t there. Thankfully there were empty rooms, but what if it was full? They didn’t even say sorry. Also, I know Bolivia is a Spanish speaking country, but they don’t even try to communicate. I used google translator to talk to them (English to Spanish), but they responded in Spanish. They already ended the conversation and looked at me like ‘? Why are you still here?’ If it’s a hotel, I think the front desk staffs at least try to communicate! The hotel room was very very cold - during our trip in June - the bed sheets and toilet were not clean and very old. The room was dark and had only one small window to the floor. But they had really warm water which was a plus point as many hotels/hostels had only cold showers. Average place, not nice staff, cold cafe where they serve breakfast (though food was ok). Poorlt functioning showers!